Jimmy started out as a trainee at Mansfield Town but failed to get into first team action after performing well in the youth team. During 2002 and 2003, he went out on trial at various clubs including Sheffield Wednesday, Boston United, Macclesfield Town and Grimsby Town, but the right sided winger returned back to the Stags on each occasion. After a short period at Alfreton Town in November 2004, he got his break after impressing during several pre-season games at Peterborough United during the summer of 2006, eventually joining them for the start of the season. He mainly featured in the clubs reserve games and came to Rushden & Diamonds on 4 January 2007 on loan until the end of the season. After just a single substitute appearance at Altrincham, he returned to Peterborough after just 12 days and was later released. He joined Belper Town of the Northern Premier League – Division One South during August 2008, but then made appearances for a succession of clubs during the season, including Buxton, Worksop Town, Alfreton Town, Parkgate and Goole Town. He joined Harrogate Town for the 2009/2010 season, playing 26 games, before joining Ilkeston in January 2010. 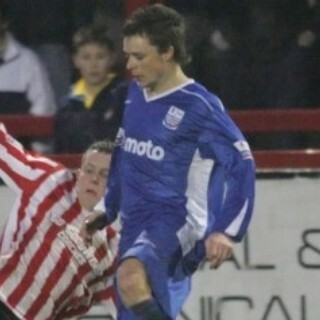 After a brief return to Parkgate, he joined Scarborough Athletic in August 2011. Another change of clubs for the winger for the following season, saw him join NPL Premier side Frickley Athletic for the start of the 2012/2013 season. Despite offers from other clubs, Jimmy later signed a contract extension until the summer of 2013. After a further season with the Blues, Jimmy left at the end of the season, and on 29 May 2014, returned to NPL Division One South side Scarborough Athletic for a second spell with the club. He then moved to AFC Mansfield in 2015, and was still there for the 2018-19 season.